Topic: Playtonic Universe - Problem? Re: Playtonic Universe - Problem? Can anyone read Latin? You can zoom in on the pagie in this picture to see text. Topic: One year of Playtonic Forums! One year of Playtonic Forums! Hey everyone, it's been pretty nice talking with you over the past year and getting hyped over the future of Playtonic. I hope your year has been great, and here's to an even better one starting right now! The kickstarter mentioned "more than 5 distinct worlds." I'm expecting there to be a 6th bonus or miniworld at the end. Between the talents working on music, programming, environmental design, and art, Playtonic is looking more and more like a force to be reckoned with. A Crash Bandicoot fan! 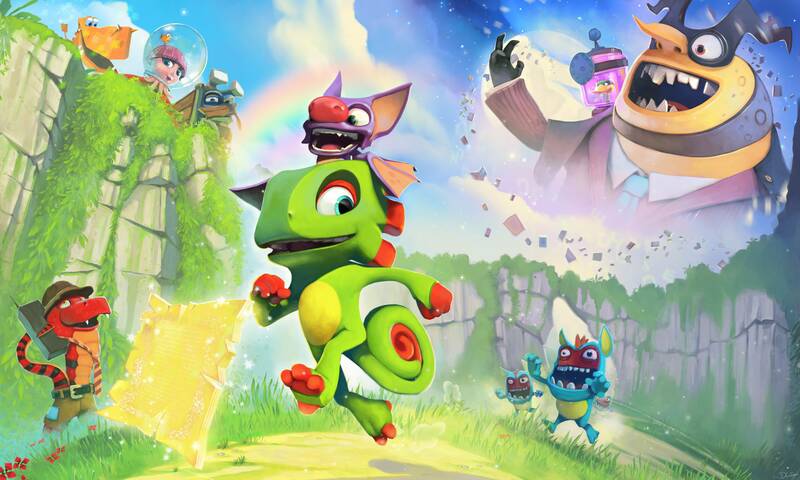 That's a nice spin on things, especially with Yooka-Laylee's release on the Playstation. She can hopefully help with all those strange X's, Circles, and Triangles. I wonder if she ever played Banjo. Ross seems to be responsible for QA testing Canary Mary. I wonder what his strategy was for the cheato page. Pleasant video of Becky from her website! Star Fox 64 and Pokémon Snap. Topic: Quirky Playtonic logo intro? Re: Quirky Playtonic logo intro? Whatever the animation is, I hope it's accompanied by a bubbly bloop sound effect. I'm really into the music, and I'd love to go out and attend that concert.